A 20-something's Perspective: Is Authenticity Dead Already? I came across a very interesting piece of travel-related information via my Twitter feed this morning. While most airlines have been making drastic cuts and passing many costs to consumers, it appears Spirit Airlines is taking it to a whole new level. According to Travel + Leisure, Spirit Airlines began charging $45 for carry-on bags Aug. 1. Yikes. How much do they charge to check? But wait, it gets worse. The airline is also considering charging customers to talk to a Spirit Airlines employee at the check-in counter. I hope Spirit Airlines does not decide to move forward with this idea. While more and more people are becoming increasingly comfortable with technology and operating self-check kiosks at grocery stores and airports, there is still a need for face-to-face interaction. What happens if your check-in kiosk breaks down or malfunctions? Will you still have to pay an outrageous fee to talk to someone behind the counter? While technology can certainly be very helpful and speedy nothing can replace a quality employee. 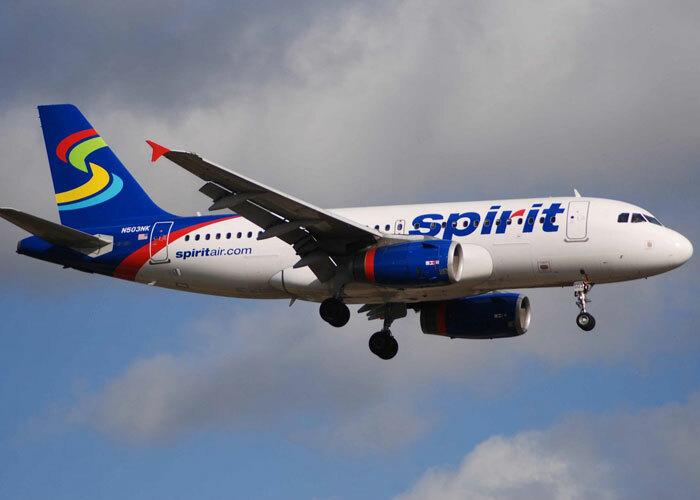 Strong, positive interactions between Spirit Airlines’ employees and customers will help strengthen the brand and keep it from becoming a faceless, low-budget airline. What are your thoughts? Is Spirit Airlines simply adjusting to the new economic climate? Or are they damaging their brand and reputation by being ballsy enough to charge people for talking to them? I recall hearing that part of the goal is to cut back on how much people carry on because of the additional time it adds to the boarding process. However, the airline mentioned that people we carrying on more because of checked bag fees. So, it makes me wonder if they get the angry customer circle they are creating. And, how will they determine what is a carry on? A diaper bag? A purse? First off, Spirit does not charge for ALL carry-ons, just those that go in the bin above your head. Those that fit under your seat are free, as are diaper bags, laptop bags, car seats for babies, and other necessities. Secondly, the thing that 99% of articles on this fee failed to mention was that Spirit also LOWERED nearly all of their fares in conjunction with this new fee. Their theory is that you're going to have to pay to check your bag on any other airline anyway, so they're encouraging passengers to do that ($25 for each of the first two bags, which is cheaper than most other major airlines), and they'll still get the business with the lower fares. Also note that Spirit is a BUDGET airline - they never said they weren't. Part of their PR schtick is to do original things that get people upset and then ride off of the free press it brings - such as pre-reclined seats and selling ads on their air sickness bags. Also note that while you may be paying $45 to carry on your bag (if you wait until you get to the gate, or $20 if you buy ahead of time online), they also offer $9 one-way fares to their club members, as well as $50 off coupons. What other airline does that? In the month since the fees were instated, the airline has reported quicker boarding times which, in the long run, could result in an increase of flight services to some locations (20 minutes to turn a plane vs. 45, in most cases), which is a plus all around, especially as the majority of airlines continue to cut service to most destinations. As for the point about paying to talk to a gate agent, I just thought back to my last 4 airport experiences this summer. Other than getting my luggage tagged at the desk and handing off my bag to the guy running the x-ray machine, I didn't talk to anyone. One trip I didn't even check anything, so I skipped that step completely! I printed my boarding pass online (and even checked in on my phone at one airport!) and skipped the whole deal. The reality is that this is becoming less of a necessity anyway, so why pay to train and staff someone that the majority of customers don't need? The question that is being raised here is cheap flights vs. customer service. All Americans want to be treated with the utmost respect and think they're the most important person in the room. But none of them want to pay more than $200 for a plane ticket to anywhere. What they don't realize is that the cost of air travel isn't getting any cheaper. Fuel alone has doubled in the last 5 years, not to mention new FAA regulations, aircraft maintenance and union contracts. But all people see are the dollar signs, and all they expect is a smiling gate agent who will answer questions that they could figure out themselves because it is printed 5 times on the boarding pass. Watch out for more of this in the future. And if you notice, you are usually charged a $25 fee for calling the airline's call center instead of booking online - this will become more common place as more people become comfortable with computers. Yes, it is a sad reality and a bleak outlook. But what consumers need to do is look at the whole picture, and not just how it affects them.